For the past few days, I’ve been preparing for a Garden Route drive beginning next week. Along the way, I’m excited to be joining a slackpacking group (total strangers) for a multi-day wilderness adventure exploring parts of the Tsitsikamma Hiking Trail. It’s isolated new territory for me and I’m traveling solo, so there’s some apprehension. Recalling the perils of a two-month African safari last year, I’m concentrating on packing light and paying attention to detail, hoping to eliminate unexpected surprises. We hike with daypacks while porters transport the heavier bags between rustic overnight huts. Hikers provide their own food and there is no electricity in the huts. Headlamps and candles are essential, but there’s abundant firewood for cooking. 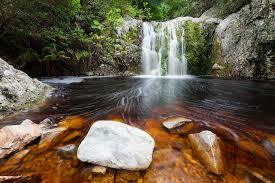 The hike will be an adventure deep in the Tsitsikamma Mountains – a stunning untouched forest and fynbos wilderness! 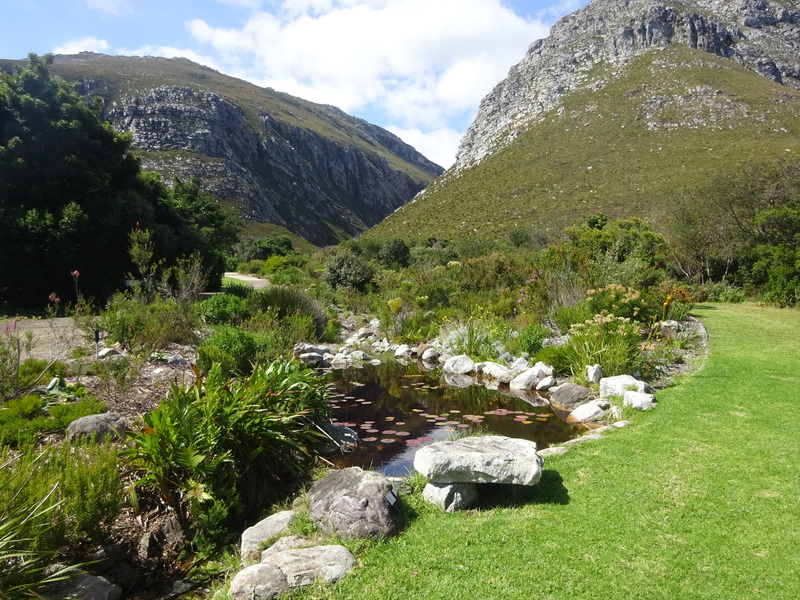 Yesterday the weather was glorious, so I spent part of it hiking at Harold Potter Botanical Garden near Betty’s Bay. October is spring in South Africa, but Mother Nature doesn’t seem to know that winter is over! It’s not cold – 60s to 70s days and 50s at night – but the Atlantic Ocean puts a chill in your bones. Lately we’ve had strong wind, ominous skies, and much-needed rain. Heavy thoughts are of Cape Town approaching summer with water rationing. 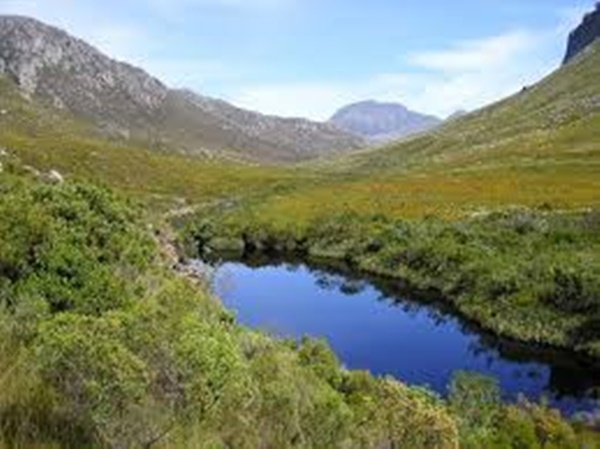 During the 1930s, three South African businessmen purchased land in the Hangklip Area between the Palmiet (bulrushes) and Rooi-Els (red alder). 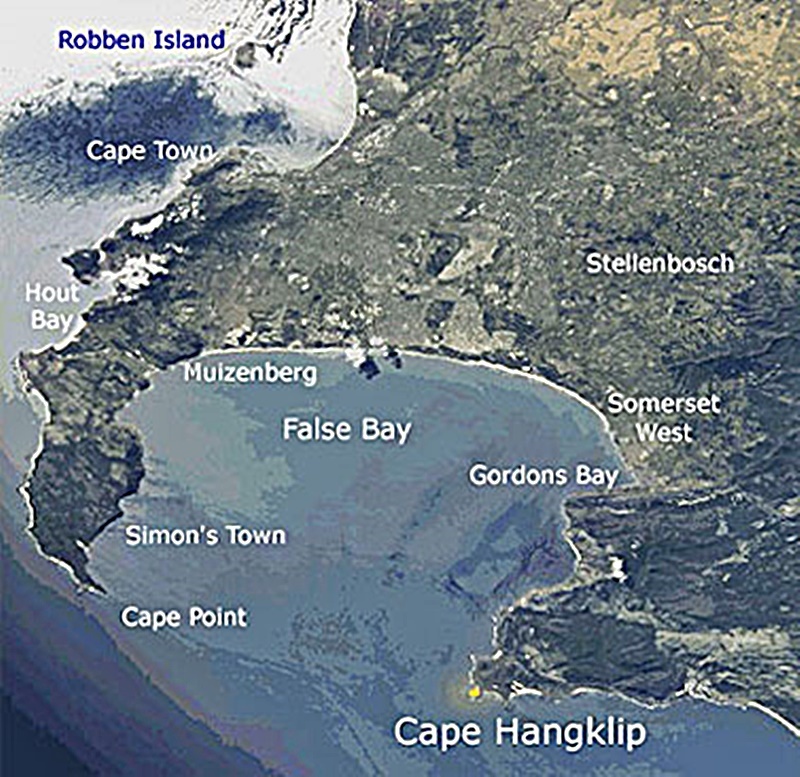 The three partners – Harold Porter, Arthur Youldon, and Jack Clarence – called it “Hangklip Beach Estates and divided the area into three townships – Betty’s Bay (named after Youldon’s daughter), Pringle Bay, and Rooi-Els”. They sold plots to interested parties. Over the years the beautiful nature reserve changed hands many times, but after Harold Porter’s death in 1958, it was left to the Shangri-la Nature Reserve Company. “Finding it too difficult to manage from Johannesburg, the corporate committee offered the land to the National Botanical Gardens of South Africa, which renamed it in Harold Porter’s honor and took on financial responsibility for management”. 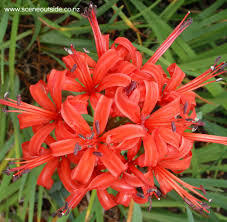 Harold Porter’s ashes were scattered in a favorite spot where Nerine Sarniensis bloom every March or April. 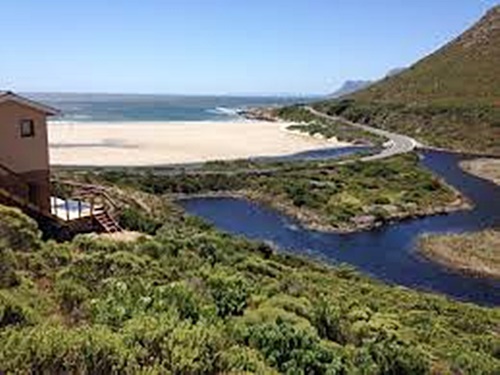 In 1962, Hangklip Beach Estates added to the Botanical Garden property by giving it the adjoining area of Disa Kloof. Later, the Betty’s Bay Village Management Board donated another adjoining piece of land which reaches to the Atlantic Ocean. 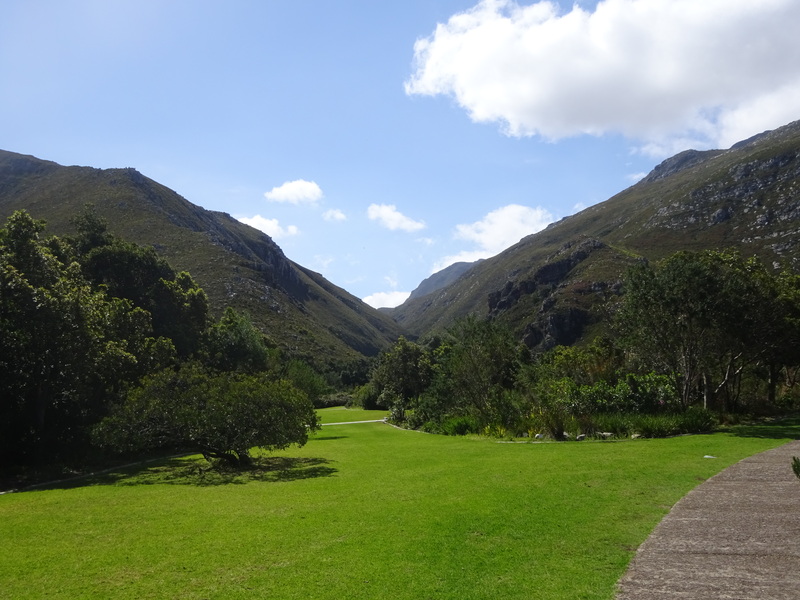 Today the Harold Porter National Botanical Garden stretches from the “top of the Kogelberg Mountain Range to the Atlantic Ocean, encompassing a whole river system”. 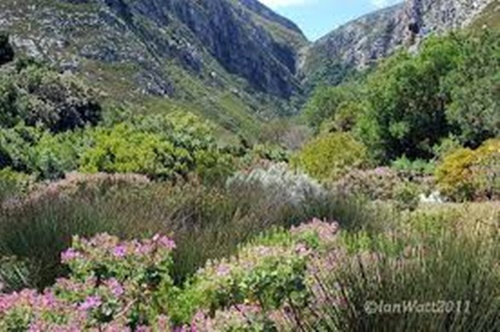 Part of the land is a cultivated garden, and the rest a natural reserve included in the core zone of the Kogelberg Biosphere Reserve. 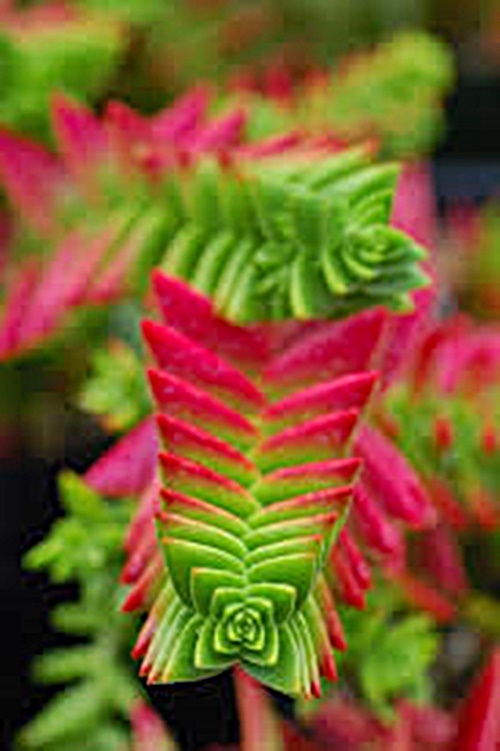 Harold Porter “turned the first sod in the Garden” and marked out various pathways “augmenting naturally occurring plants with other special or colourful species from elsewhere”. 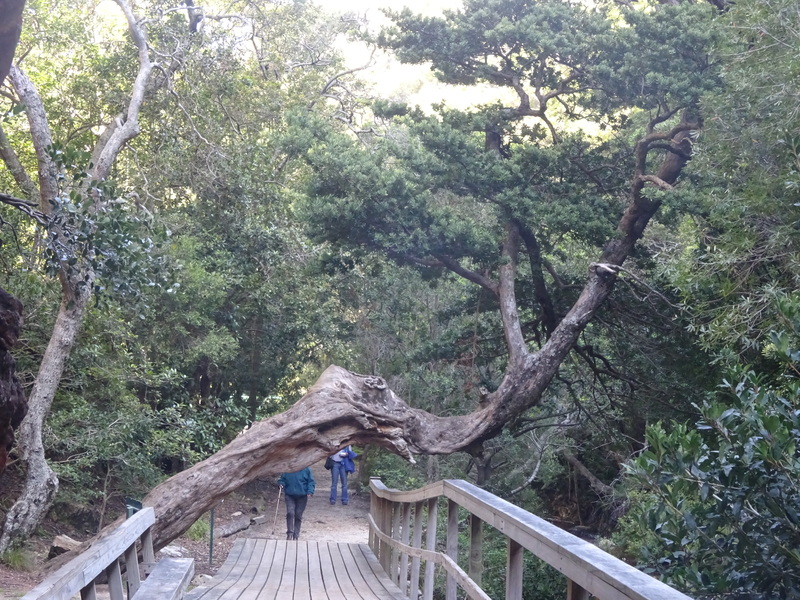 He built the Zigzag Border Trail which leads to the top of Bobbejaanskop (baboon head) and is still used today. Porter’s wife, Olive May, and son, Arthur, helped shape the garden. Arthur designed the entrance building from the stones of their home which burned down in 1960. Harold Porter’s ashes were scattered in a favorite spot where Nerine Sarniensis bloom every March or April. A plaque of granite sunk into a large sandstone boulder marks the spot. Olive May Porter died in 1984, and her ashes were scattered near her husband’s memorial stone. 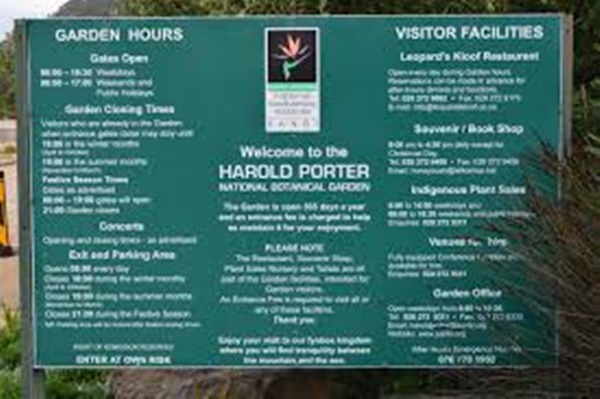 Harold Porter Botanical Garden stretches from the “top of the Kogelberg Mountain Range to the sea, encompassing a whole river system”. 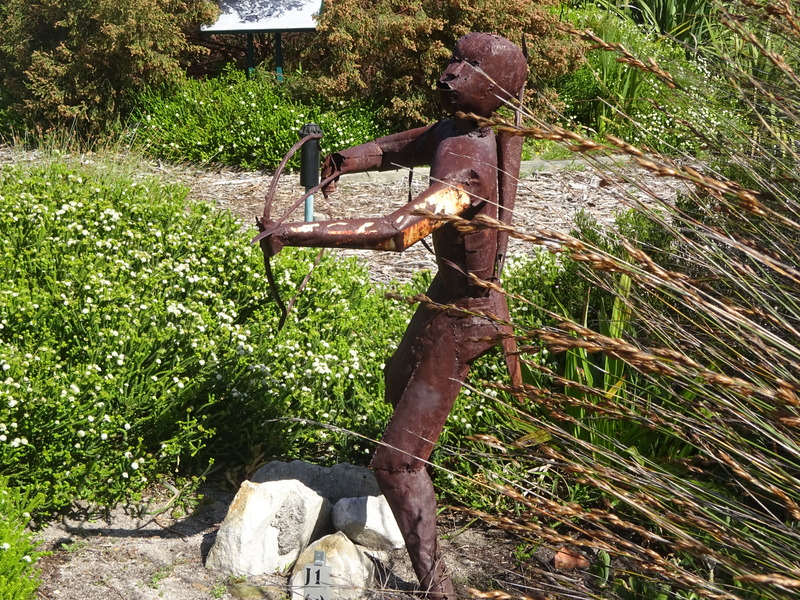 Since the natural garden consists of fynbos, fires are a “necessary part of the cycle of this vegetation type”. 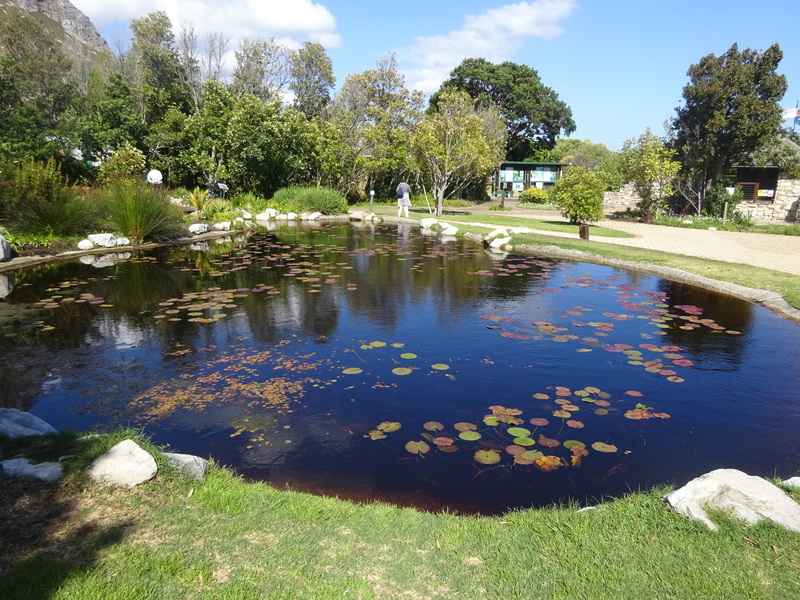 Heavy storms in 2005 and 2014 caused extensive flooding and damage to the Botanical Garden. The last major fire was in June 2010. A small fire occurred in November 2013 on the eastern boundary when “a young baboon climbed the electricity pylon, causing an electrical short-circuit with the subsequent shower of sparks setting the veld alight”. 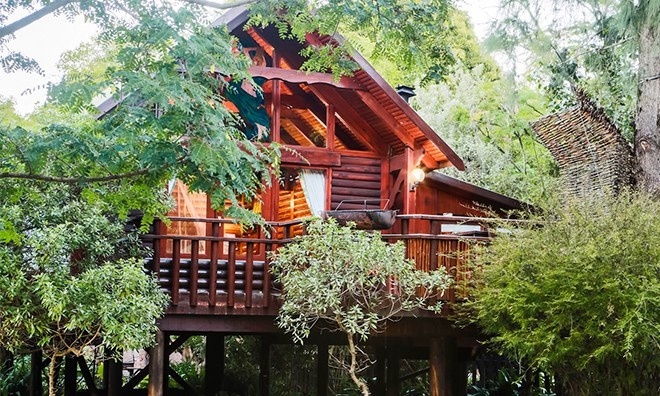 Since the Garden consists of fynbos, fires are a “necessary part of the cycle for this vegetation type”. 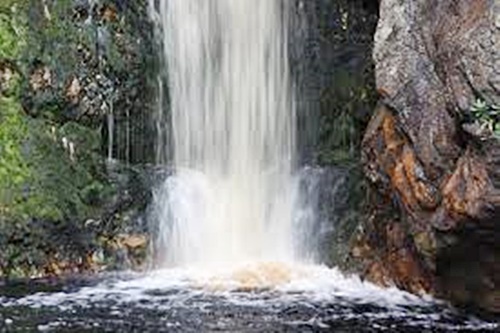 The streams, ponds, and waterfalls are lovely – it’s an incredibly beautiful paradise. 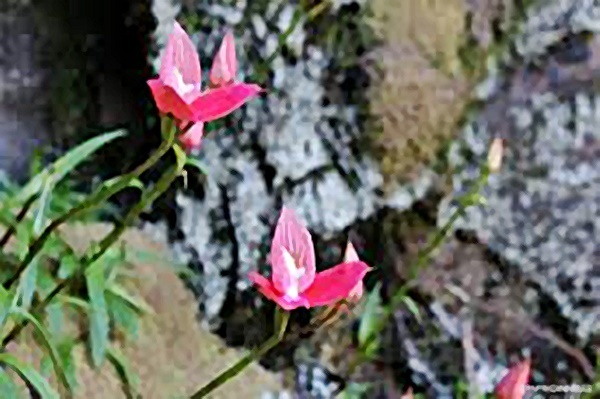 I hiked the Disa Kloof Trail to a waterfall and will return to the Gardens. There is much to explore and enjoy in this peaceful environment! 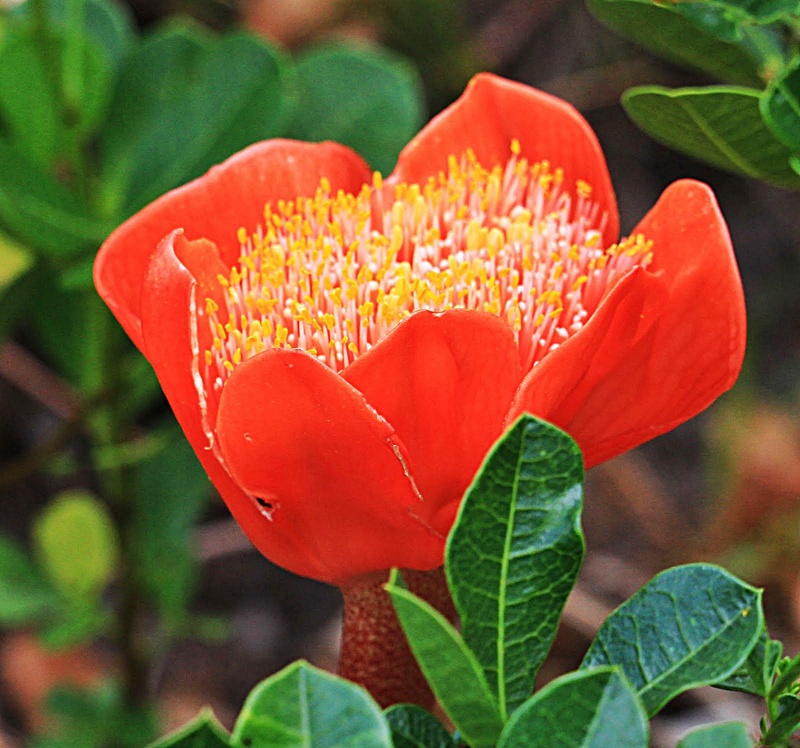 This entry was posted in Africa, South Africa and tagged Arthur Porter, Arthur Youldon, Betty's Bay, Bobbejaanskop, Cape Hnagklip, Disa, Disa Kloof, Fynbos, Guernsey Lily, Hangklip Beach Estates, Harold Porter, Harold Porter National Botanical Garden, Jack Clarence, Kogelberg Biosphere Reserve, Kogelberg Mountain Range, National Botanical Gardens of South Africa, Nerine Sarniensis, Olive May Porter, Palmiet River, Pringle Bay, Rooi-Els, Rooi-Els River, Shangri-la Nature Reserve Company, Slackpacking, South Africa's Department of Environmental Affairs and Tourism, Tsitsikamma Hiking Trail, Tsitsikamma Mountains, Zigzag Path by suemtravels. Bookmark the permalink. It looks gorgeous. Good luck with the other hike. Seems our weather here is very similar to what you are experiencing. We did get a full day of soft rain one day last week and it refilled the creeks around us. First time in many weeks, maybe even three months. Thank goodness! Are U having drought too? 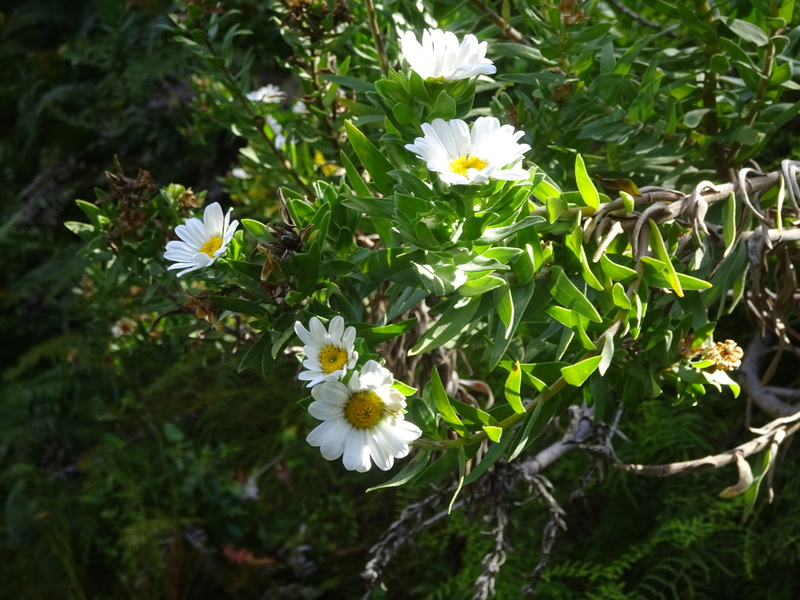 Hustling to get it together for the hike – very much isolated wilderness. Hope the other people are OK ;) and I can keep up – exciting and scary at the same time – love an adventure. Hope the weather is good!